One of the most important aspects that attract and boost web traffic to your mobile app is its latest and overwhelming features. And you should know that android is far ahead in the competition with a global market share of about 86%. Previous the year, Google announced that there are almost 2 billion active devices on the Android platform. While taking the geographical distribution into consideration, Android is the global leader in continents like Asia, South America and a greater part of Europe. The android apps are ruling out various business industries like social media, e-commerce apps, messaging apps, enterprise apps, and on-demand apps. So, it becomes crucial for the android app developers to focus mainly and largely on integrating the latest and important features. Due to stiff competition, they need to be a focus on the minute details at the time of android mobile app development. Moreover, the trend of mobile app development is renewing, and offering a wide scope to add new and latest features that attract the end user and is user-friendly as well. It is significant to customize the features as per the need and demand of the business. The first crucial and key features that you need to push on at the time of android app development are comprehensibility along with the sophistication in the user interface. It should be taken into consideration that the app’s interface must be user-friendly, which simply means that one who never used the smartphone previously can handle and operate it with ease. It is important to understand that users form their good or bad impression of certain mobile app within a few minutes of use. So, it would be more significant to design simple user interface design and can focus on it at the time of developing the wireframes. The app will get rendered successful for the users to get in the desired page in few taps without waiting for long. So, to create a shortcut for the essential features can be added to advantage. With the change in trends, gesture control is one of the most crucial aspects of the app that enables the developers to develop blocks that includes in involving the latest functionality. It ultimately enhances the level of the user experience. The mobile app development based on Enterprise has achieved a boost in the past few years, and as it offers numerous venerable benefits, the firms are slowly showing their keen interest towards it. One of the largest benefits that offer is main lining the business procedure by enhancing the communication in various and employees. Moreover, it also provides data security which helps in securing data on your mobile app. The enterprise apps also avail a messaging or chat feature so that employees can smoothly interact with each other. This app also has an add-on the feature based on CRM, SAP, and ERP integration. Most of the android app nowadays needs the user to sign up or login with their email-ids or with the mobile numbers. They may also be asked to create a personal profile that allows the owner to collect the crucial data, especially if it is an OnDemand app. So, you must ensure that the signup page should be easy, short and straightforward. The end user usually gets irritated with long forms and questions. You must stick on the name, mobile number, address and email ID as per the need and requirement. The user feedback is one of the most important elements of your mobile application that evaluate whether your brand is hit or flop. Allow more and more people to send crucial feedback on the app through comments or ratings. The more feedback will get receive from the potential audience, the more scope one can get to improve their services, features and functionalities. It is essential to evaluate the overall performance of the Android application at the regular break of time. This is also a positive and pleasant gesture for the app owner and app developer to show concerns about the users. Various platforms of social media are undoubtedly one of the best and most efficient marketing tools for promoting an android app. So, it is crucial to integrate and connect the social media channels like Facebook, Instagram and Twitter where one can promote the app and provide information of app updating. The end user can also give feedback about the app experience. One of the biggest reasons why various mobile applications fail to make an impact on the market due to the slow load speed. The end user looks for the applications giving a quick and fast response. This can enable in incorporating the features for Android app; you need to put it on the priority. It should be ensured that the loading speed of the application cannot exceed more than 10seconds that can be extended up to 15seconds. It can be high responsive, and all functions must work properly when tapped any time of the day. Another best feature that will enable your Android app a robust resource in this highly competitive market is the integration of multiple language support. To implement the language once must decide about the target audience and the region of the globe where you are launching your app. The users usually complain about the lack of memory space which stops them storing the data. Now, it is crucial to address this issue at the time of searching for mobile application development service in USA and across the globe. Therefore, create a compact app that can delight the audience. It is bit obvious that larger the size of the app, large space it will consume, and will take more time to update or download. Remember that every update increases the size of the app because of new features and functionalities getting add for serving better to customers. You must remove the functions that are not requiring for the app. It is impossible to get internet everywhere and remain connected 24*7 always. So, the Android app must provide the offline mode feature as well for better working of the app. You should integrate the usability of the app even with the offline mode. The end user will love to use the app without spending much of the data. With the advancement in the technology, cloud computing emerged as one the most important asset for the android app. This feature enables the users to pay for the products or services of the app directly. The android apps nowadays are facing high competition in each inductor. 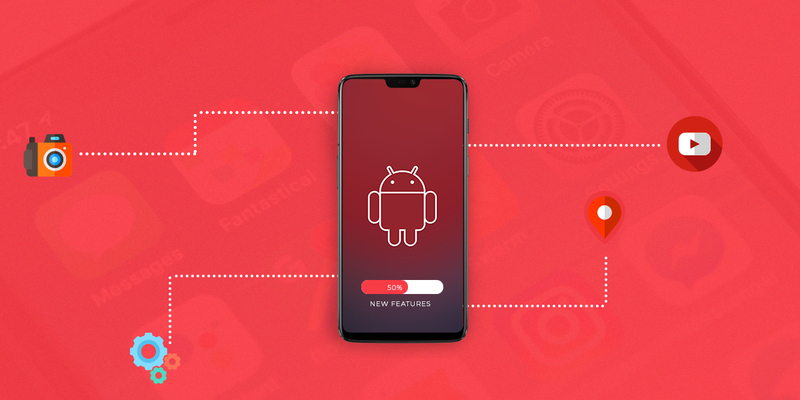 One of the crucial factors that make you app stands tall among the crowd is offering the best in the class user-friendly app along with simplified features. The end users today are very much selective, and it is essential to decide the most important features cautiously before implementing, and it can be achieved with the help of comprehensive market research about various android app development company in USA and across the globe for getting the real picture of the potential audience and market before initiating the mobile app development. Customer experience is considered as the ultimate goal of any digital transformation. Especially with the advent of an array of new technologies, customers have become more cautious than ever. They would not even take a second to turn away from brands that don’t cater to their values and needs. Is your app is quite ready to emerge in App Store? When Apple’s App Store was initially released in 2008, there were only 800 apps available for download. As of January 2017, there are 2.2 million apps available to download for various iOS devices. Since then the scope of iOS app development has increased dramatically. Highlights on Exciting Features of iOS 11: The Future is Coming On! At Worldwide Developers Conference 2017 (WWDC), Apple revealed about all new iOS 11 update for iPhone and iPad. This new version is now available as a developer Beta Preview. It surely gonna be a major update to world’s most advanced mobile operating system, bringing hundreds of features and experiences to iPhone and iPad. Features like Augmented Reality in iOS 11 provided a new platform for iOS app development to build applications that allow users place virtual content on top of real-world scenes.